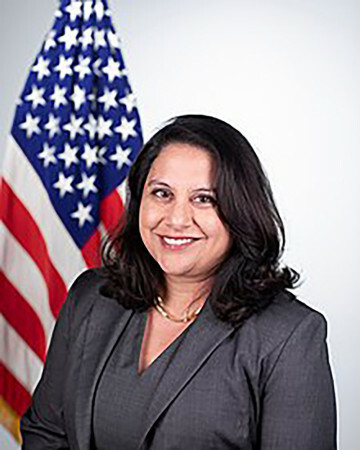 President Donald Trump Nov. 13 informally announced his nomination of Indian American Parsi law professor Neomi Rao to the DC Circuit Court of Appeals, during a Diwali celebration at the White House. “I won’t say today that I just nominated Neomi to be on the D.C. Circuit Court of Appeals, the seat of Justice Brett Kavanaugh,” said Trump during a ceremony to light the diya, which was attended by several Indian American members of his administration. The president received a long round of applause after the announcement. “We were going to announce that tomorrow and I said, ‘You know, here we are, Neomi, we’re never going to do better than this right?’ I thought it was an appropriate place. So, we’re 24 hours early, but she’s going to be fantastic. Great person,” said Trump, to more applause. If confirmed, Rao would be the first Parsi jurist to serve in the Circuit Court.